This is Joyxee Island near Cancun, Mexico. It has a three-story house, hot tub and internet connection. 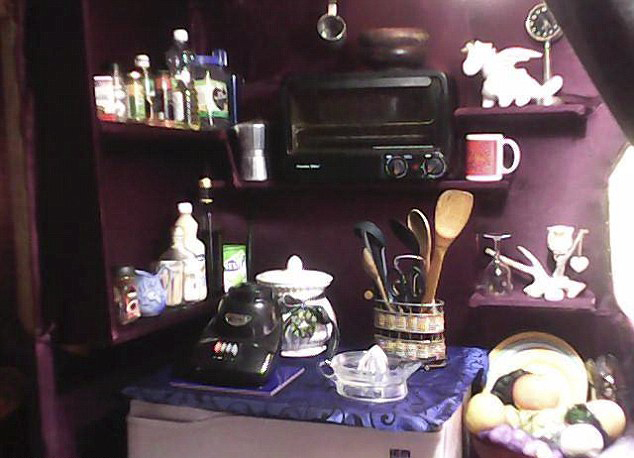 The island kitchen has flowing water and electricity. 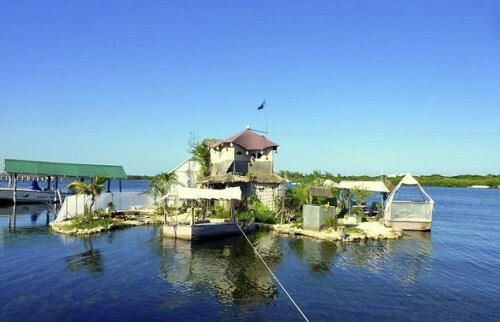 Created by artist/architect/clever man Richart Sowa, the entire island floats on over 100,000 plastic bottles. He has even managed to get plants to take root in imported earth, adding to the structures stability and strength, as well as offering opportunities for agriculture. This floats on over 100,000 plastic bottles… the average combined yearly soda consumption of three American 6th graders. The island is obviously extremely eco-friendly, but it is the creativity, coupled with the artistic passion that truly gives this island its unique personality. *Make sure to catch the part about how he figured out a natural air-conditioning system. Brilliant.